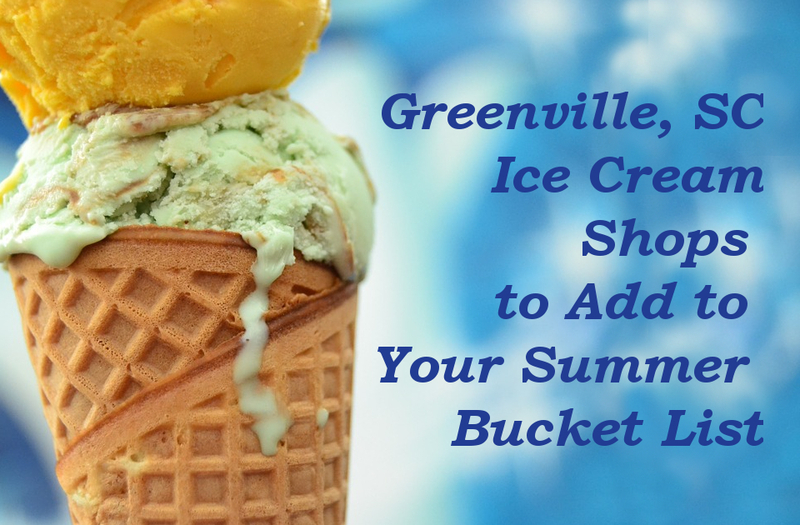 Autumn, winter, spring, and summer – regardless of the season, there’s never a bad time for ice cream. But of course, no food is as satisfying on a hot summer day as ice cream. 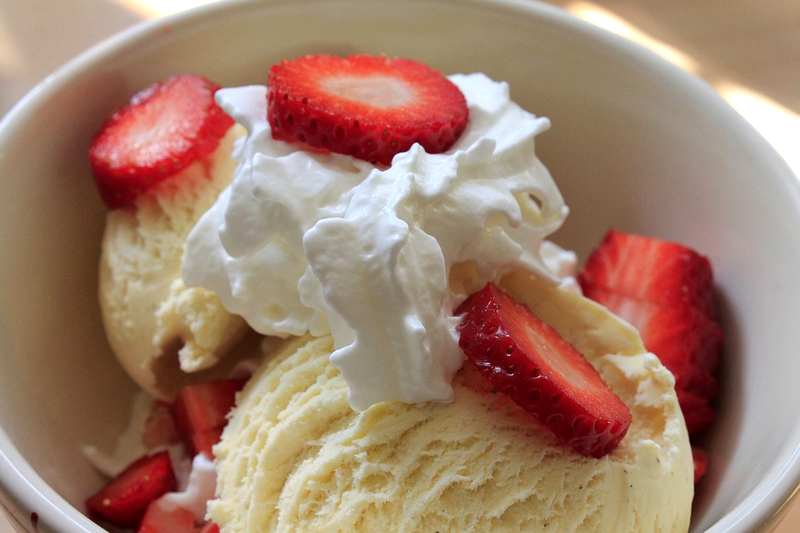 Whether you like it served with crepes, sprinkled with confectionary treats, or with your favorite fruit, ice cream will always bring delight to your day. People with sweet tooth will find heaven in this place. 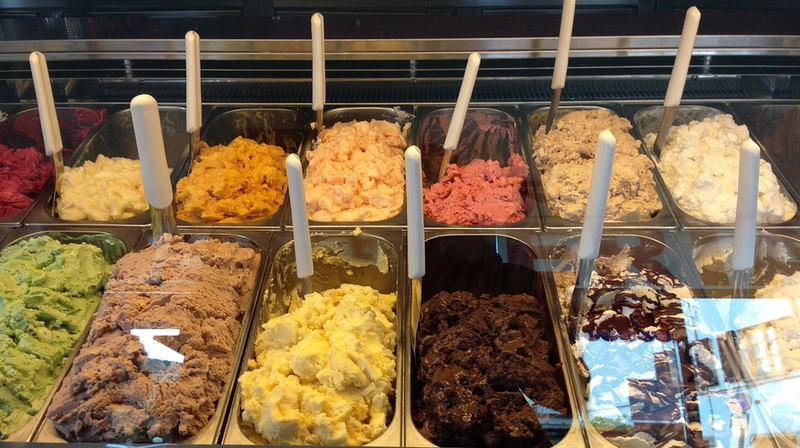 You must try the gelato as many people rave about its tastiness. There are lots of options to choose from! Taste as many flavors as you want. Plus, they serve more than just gelato. It’s a full restaurant with great menu and fantastic service. Whether you are a coffee lover or ice cream lover, you will love Spill the Beans. This place is right on the river so after visiting Falls Park after a hot sunny day, this is a great place to cool down. There are many options to choose from. If you want to opt for a sweet treat, try their soft serve ice cream. Tons of mix-ins to go with your ice cream. There will always be a space in your tummy for dessert when it comes to Cold Stone Creamery ice cream. There’s a huge roster of ice cream to choose from. Be sure to try their signature brownie fudge ice cream. One of the best ice cream shops, Marble Slab Creamery just makes delicious ice cream. They have wonderful great selection of ice creams and you can’t go wrong with any choice here. Good service, large serving, and worth the price! Stop in to beat the heat and try Kilwins chocolates, fudge, and ice cream. Their chocolates are so fresh and tasty. The fudge and ice cream are equally fresh and delicious too. For ice cream lovers, their salty caramel ice cream is to die for. While Culver’s is popular for its butterburgers, their frozen custard is not to be missed. Famous for their cold-pressed vanilla and Dutch-blend chocolate ice cream, walking into Culver’s is like taking a step back to your childhood where a sight of an ice cream can brighten your day. Bruster’s takes an old-school, traditional approach to ice cream. Their ice cream is made the old-fashioned way, with slow kettle processing designed specifically to create the Bruster’s flavor. They also have seasonal flavors for their ice creams and sorbets. You are guaranteed their ice cream are made fresh–right in the store!